Achieve consistent and thorough customer service training with a comprehensive training manual. Consistent and thorough customer service training is essential—even when customers already seem satisfied. LinkedIn reports that only 4 percent of disappointed customers complain to staff members, but nine out of 10 never return. Internal customer service training must be standardized to avoid serious discrepancies that result in customer churn. Without a single training plan, managers and co-workers may train each staff member to use different techniques. This can lead to conflict or dissatisfaction when every employee treats customers differently. For example, shoppers may become frustrated if some cashiers accept coupons on sale items, while others do not. The same goes for arbitrary responses to special requests, product returns, or pricing disputes. When businesses deliver consistent education on customer service skills, customers get better service. Fortunately, there’s a convenient way to keep everyone on the same page. A detailed customer service training manual ensures that every representative learns the same basic concepts, practices, and policies. It also makes customer service skills training more efficient. Trainers can easily refer to a company’s manual when they have questions about the appropriate strategies to teach. They don’t have to guess or spend time asking supervisors and other company leaders for information. You may wonder how you’ll ever find the time to create a staff training manual for your company. It could take days to write from scratch and even longer to thoroughly edit. Sure, you could hire someone else, but they probably wouldn’t be familiar with your organization or its customers. 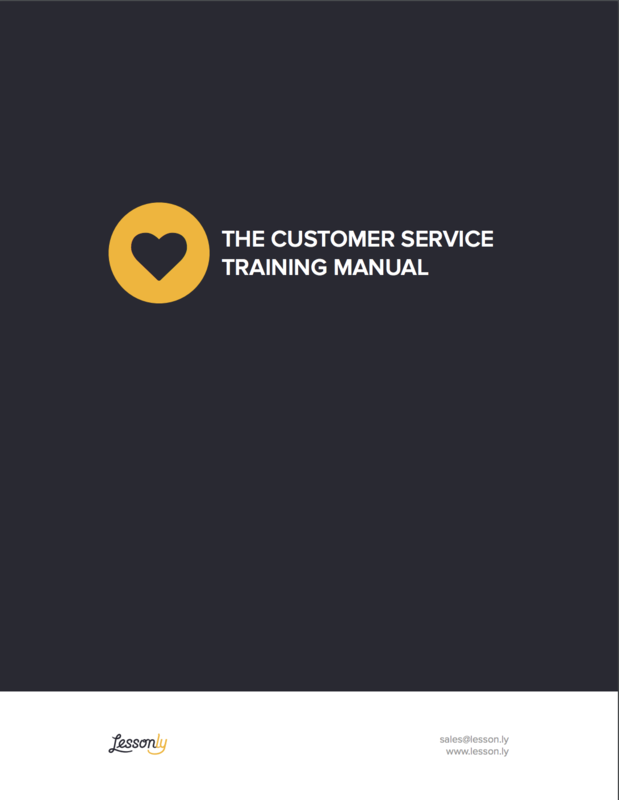 Save time and money with our free customer service training manual template. It covers the basic concepts that every customer service team should know—but it’s easy to modify and edit as necessary. Staff members need to know how supervisors assess their skills: Is it more important to act friendly and helpful or to boost today’s net profits? This template features basic principles, do’s and don’ts, and training tips for your customer service team. One crucial benefit of a training manual is that it describes a standard process for interacting with customers. Such processes usually involve steps that staff members can follow in most situations. For example, a customer service representative could greet a customer, take time to listen to their problem, suggest a solution, answer their questions, and encourage the relationship. This can also be found in an employee handbook—and we’ve also created an employee handbook template resource for you to use. While you may choose to employ separate procedures for complaints, returns, or other transactions, it’s best to have a single process that applies to most situations. These helpful guidelines expedite and simplify every interaction with customers. It’s also important to highlight these processes in your customer care training manual and periodically discuss them with staff members. This ensures that everyone takes the right steps to satisfy customers in a way that doesn’t create double standards or confusion. Our customer service training manual (free download) can help you get started. Our blog also provides plenty of customer service training ideas that you can incorporate into any retail, hospitality, or call center training manual template. In many ways, serving customers is the same in any industry. Every business has to answer questions, respond to special requests, and field the occasional complaint. Nonetheless, some topics apply specifically to certain industries. For example, only a retail customer service training manual would need to tell a cashier what to do when there’s only one “buy-one-get-one-free” item on the shelf. Manuals for food servers and cooks should explain how to handle requests that send meals back to the kitchen, while other manuals must address ways to communicate with certain groups of people. For instance, a Disney customer service training manual needs to cover interactions with small children as well as parents. Other businesses, like banks, medical offices, or pharmacies, must pay extra attention to educating their employees about privacy and should share tips on discreet communication. A customer service training manual for hotels ought to prepare the staff to solve these problems fairly. At the same time, it is fine to borrow ideas from other industries. In fact, according to Forbes, Apple has successfully used hotel service techniques in its retail stores. Training manuals and templates come in a range of different file formats. It’s important to choose a format that matches your favorite delivery method. A customer service training manual PDF is easy to print or view on any computer with an up-to-date PDF viewer like Adobe Reader. To edit and distribute or print a DOCX manual, you’ll need a recent edition of Microsoft Word. If you would like to showcase your customer service tips in a presentation, consider using a customer service training manual PPT file. Microsoft PowerPoint or the Apache OpenOffice Impress program can open and display this type of document. Such manuals may incorporate animation, slide transitions or sound effects. Consider using Lessonly’s software to deliver your manual in the form of online lessons. 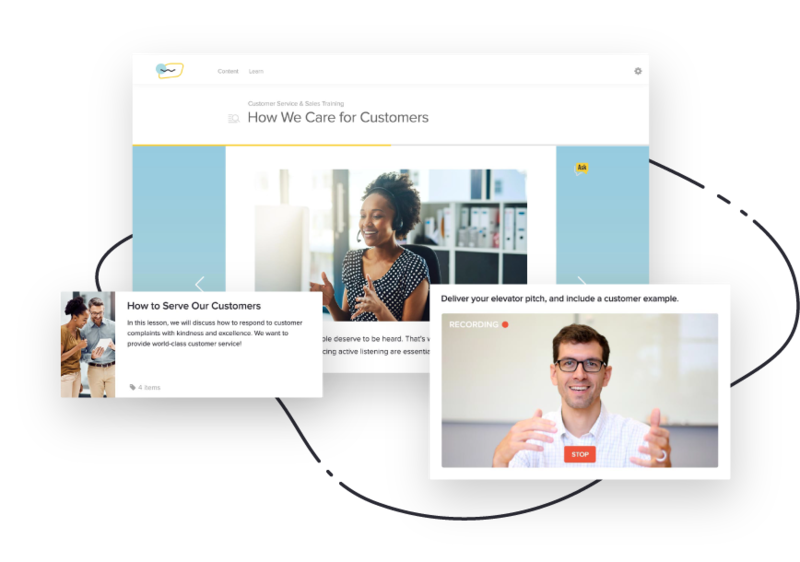 Our system makes it easy to create, distribute, and track training content. Explore our website for further details and customer service tips. If you are looking to train your entire staff, and not just the customer service department, check out our training plan template as a helpful starting point.